Despite Asia now accounting for 30% of its exports, Gaja, one of Italy’s most well-known wineries, still finds the Chinese market something of a puzzle, admitted Gaia Gaja. Speaking to dbHK during her Hong Kong trip to launch the new 2013 vintage, the capable heiress confessed that even after 15 years in China, the winery still faces hurdles to expand its share in the market, hampered by the country’s market segmentation, a result of different drinking cultures and distribution networks in different provinces. “China is a big question mark for us. It’s developing its own dynamics. There are many things I did in the US and they worked great, so I can replicate them in Denmark. And I may have a strategy for London as well, but nothing makes sense in China. When asked if the winery is keen to develop e-commerce in China to diversify its distribution network to expand market reach, the vintner remained cautious. “Everybody is saying e-commerce is so important for China, and that someone was telling me in the US, 8% of sales are done on e-commerce, and in China, it’s 18%. It’s a country so far ahead in this aspect, and it’s really booming, definitely important for wines. “But for now, most of the wines sold online are on the entry level, so I don’t think we are ready to embrace e-commerce there,” she explained, noting much of the winery’s sale in China was done through private events and restaurants. 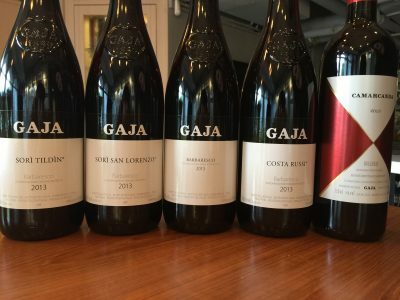 Currently ranked as the winery’s second most important export market in Asia following Japan, Gaja’s oldest market in Asia, the vintner is, however, hopeful that a healthy market was forming as fine wines are gradually being drunk rather than gifted, saying “it’s the beginning of a real market”. Together with Hong Kong, Korea, Taiwan, Thailand, Indonesia and Singapore, Asia accounts for 30% of the winery’s exports. 20% of its wines are consumed domestically with 80% exported. The vintner noted Thailand’s strong performance despite the country’s high taxation on imported wines (about 400%). 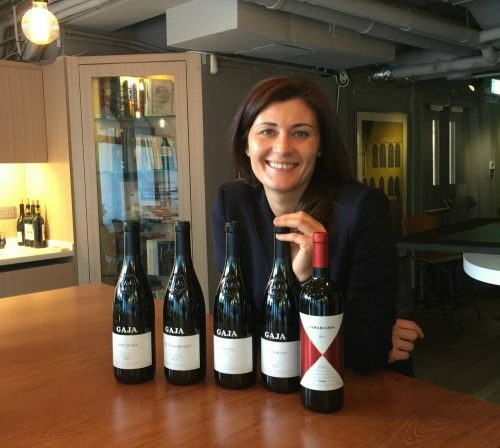 Its wines from the 2013 vintage, which claimed by Gaia, is “one of the best in the past 50 years” are now available at Altaya Wines in Hong Kong including its three ‘cru’ wines – Sori San Lorenzo, Sori Tildin and Costa Russi. The three wines are now labelled as ‘Barbaresco’ instead of ‘Langhe’, after Gaia along with her sister decided to make pure expression of Nebbiolo.